On the second day of the Lotus Makeup India Fashion Week, the runways at the JLN stadium served as platforms for the designers to allure the audience via the journey through different eras of fashion. From the collections reminiscent of the tulle-laden voluminous era of the 1910s to the ones that lie in the present day where the void of article 377 is still being celebrated, the common thread lay in the techniques of fabric manipulation, drapes, and pattern modifications. Many collections belonged to the category of vacation-wear which is now on a sudden rise seeing the increase of travelling and recreational activities throughout the globe. The designer whose signature lies in her placement prints that make a strong statement against any garment, fabric, or silhouette, Aartivijay Gupta’s creations are known to revisit contemporary functional clothing, including ready-to-wear casuals, pret and resort wear using various ethnic themes and collection inspirations. For SS’19, the designer showcased the collection ‘Mud Walls’, which was dipped in the Rajasthani heritage wall art to dictate a story of tribes of Rajasthan. 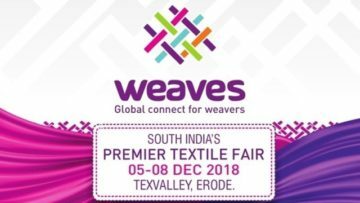 The motifs and weaves explored the joys and struggles of the tribes and were aimed at shedding light upon the dyeing tribal art of the Indian tribes. It encompassed an assortment of contemporary saris, coordinated set pieces, outerwear, and modern-day silhouette dresses in the colours of soft mud, placed and woven into the evergreen silk fabric. Layering was a recurring pattern for the show. Bringing back the laid-back times of the picnics in British quaint parks during the 40s was Shruti Sancheti, evoking the images of flowy silhouettes and summer breeze. The country-inspired chic collection, reflected landscapes and roses through a line of sun-washed Ginghams, wallpaper florals, and fabrics such as organic linens, luxe cotton blends, and intricate laces. Subtle pastels like berry milkshake pinks, ivory cream, apricot orange, duck egg blues, mustard yellow, sage green, and teal blue were seen on the collection’s edit of separates, dresses, and maxis. The designer explored the techniques of textured embroidery, cross stitch, and value added anglaise lace along with delicate scallop edgings for the feminine collection. Staying true to the words that preceded Prashant Verma’s show, the designer showcased the collection that left behind the commercial norms of clean-cut wearable garments and simply showed art on ramp, becoming the melodramatic haute-couture presentation of the day. Drawing inspiration from literature and opera, ‘Maria’ was a collection that mirrored the damaged, fragile survivors healing, as flowers grow through their wounds. It championed volume via vividly stacked tulle and organza gowns that even covered the faces of the models. The volume was balanced through the other half of the collection via body accentuating pantsuits and sleek-silhouette ensembles, accessorised with vintage veiled hats. The designer brought artistic canvas on fabrics namely silks and satins as brushstrokes, abstract mosaics, and water colour prints lined the collection. An activist for social causes, environment, and gay rights, Wendell Rodricks harnessed the power of the ramp to showcase his SS’19 collection, The WOW factor. Celebrating the recent decision about article 377, The WOW Factor collection was a creation of the designer Schulen Fernandes. She used an explosion of colours on the ramp with the amalgamation of yellows, reds, blues, purples, and pinks that stood brilliant against the lustrous fabrics like satin, crepe, Georgette, and Lycra. Uber stylish silhouettes, cut-outs and tied patterns and the pleated fabrics danced against the heels of the models adorning the beachwear collection that incorporated bikinis, monokinis, sarongs, and flowing dresses, and were accessorised right in-line with the international trends of bows, fanny packs, and wicker baskets. Pattern stylised details such as crochet necklaces, bags, and patterned shoulder straps along with hand-knitted sleeves, hems, scarves, and crop tops gave the collection the finishing touches that enraptured the audience who enjoyed the idea of the show while appreciating the pieces too. The designers Abhishek Gupta and Nandita Basu are known for silhouettes and structures in their designs that try to spotlight diverse textures on fabrics via a balance of modern and traditional methods. For SS’19, they showcased their collection ‘Pollination’, that highlighted the importance of the key pollinators like bees, butterflies, and birds for the sustenance of life. Set in a moody palette of black, cream, and dull gold with accents of pink and green, the pieces were carefully structured through elements such as power shoulders, accented A-lines, and box separates. Intricately embroidered motifs of the said pollinators were placed on the pieces that also incorporated techniques such as pin-tucks applique, quilting, laser cutting patterns, and beading. The collection had a line of dresses, skirts, tops, trousers, and jackets made from fabrics such as chanderi, tulle, cotton silk, and gold lame that shined with the gold zari work. Ending the second day on a fun note, models glided and danced through the runway, adorning the duo’s SS’19 collection that was all about the ruffles- bigger, bolder, and better. Volume was the champion of the collection with ruffles of varying sizes, shapes, and numbers slammed on the garments, top to toe. Starting off with a slight flounce A-line gown with just a small alteration in the neckline, the designers used the gradation feature to end the show with a full-blown bell gown with scalloped ruffles juxtaposed over the flounce. The silhouettes were bigger this time and had an affinity for the upcoming trend of the season, asymmetry. Fabrics such as metallic polyesters, tulle, and organza were pin-tucked, gathered or left lose to align themselves perfectly behind the wearers as exaggerated capes. Large floral applique in sequins and mesh were also witnessed in the show.